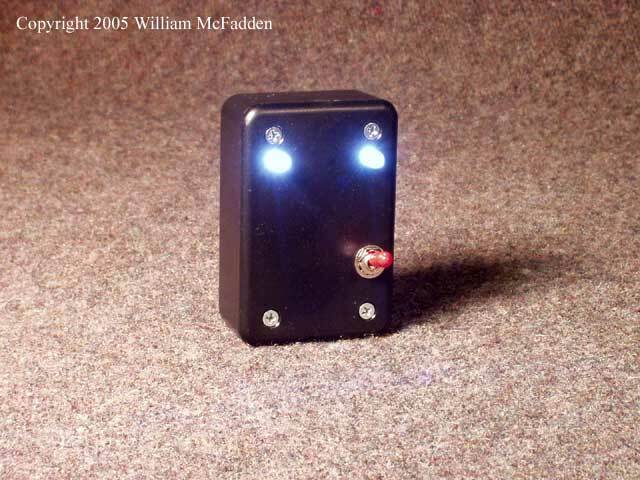 Note: I no longer own an Index Labs QRP Plus, having sold it in September, 2008 to help fund the purchase of an Elecraft K2. The QRP Station in a Bag was replaced by the K2 Travel Kit. This QRP Station in a Bag page will remain for archival purposes. 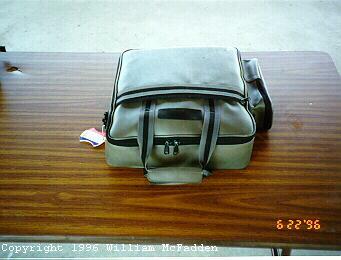 My QRP Station in a Bag is a complete QRP station in an old laptop PC carrying case (photo). 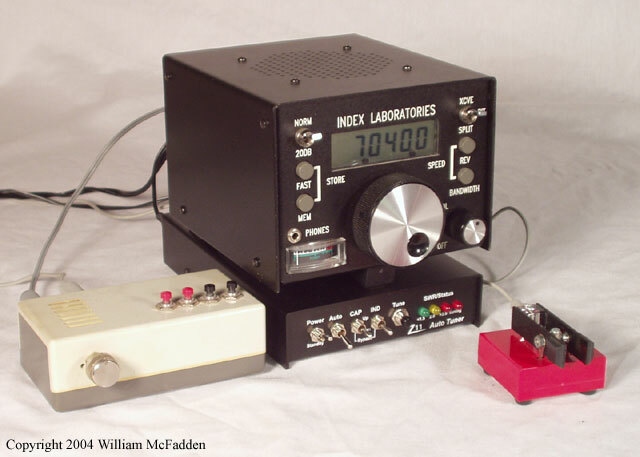 The heart of the station is the my Index Labs QRP Plus. This rig, serial number #0719, is an original-version QRP Plus, and has Revision 03 EPROM. While the performance of this rig can't compete with newer offerings such as the ICOM IC-703, Yaesu FT-817, or Elecraft K2, it still a very nice little rig and I greatly enjoy operating it in the field. For field junkets I power the rig and accessories with gel cells of various sizes. When I want to travel light I carry a 2.5Ah battery which fits perfectly in the power-supply pocket of the bag. At other times, I take a 7Ah or 10aH battery. I used to have a very nice 10-watt Solarex photovoltaic panel with which I used a SunLogic Micro-M charge controller to charge gel-cell batteries in the field. 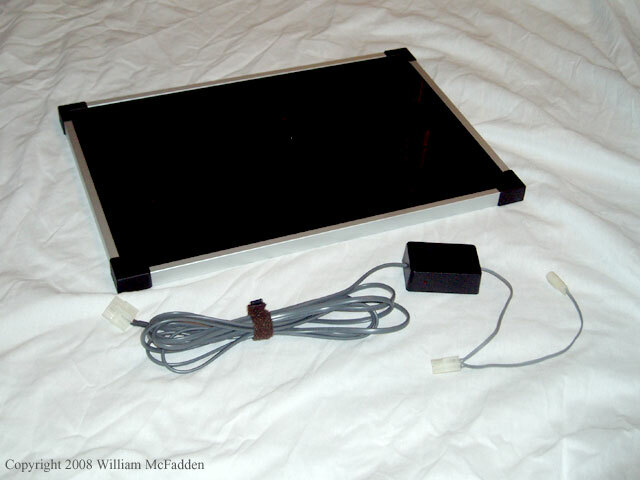 In 2007, this solar panel failed and the tough conformal coating protecting the cells very effectively prevented any sort of repair. 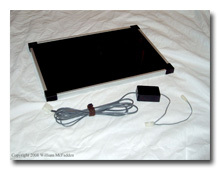 I now have an inexpensive 5-watt PV panel to use with the same SunLogic Micro-M charge controller (photo). I haven't yet had the opportunity to use this panel in the field but expect it to work well. 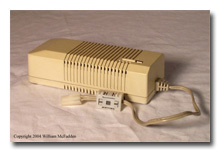 For indoor use, I use the switching power supply (photo)	that came with the now-dead 80286 laptop computer that donated its bag to the station. It is a lightweight 3.5 Amp switching power supply that easily adjusted to 13.8vdc and fits beautifully in the designed-for-it external pocket on the bag. 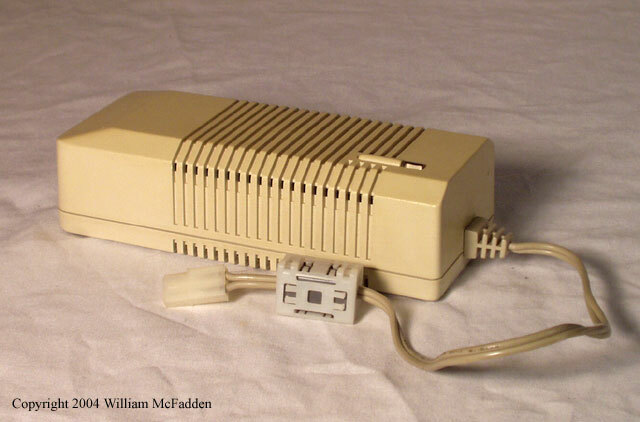 Like most switchers, this power supply accepts 120 to 240 VAC at 50 or 60 Hz. I've added a ferrite choke to the DC-output line and the supply is amazingly quiet given its age. 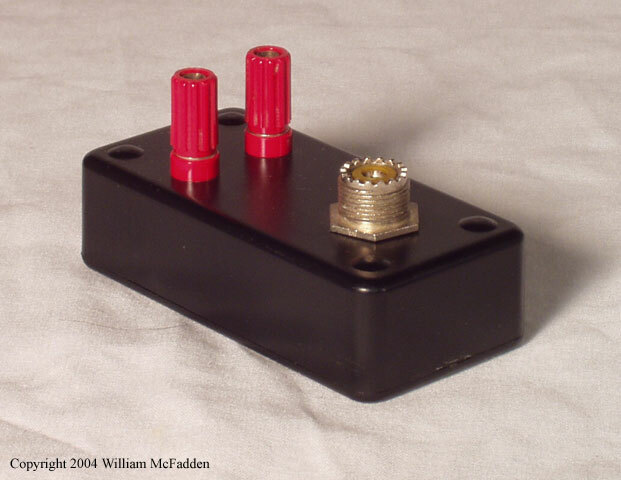 In fact, I have been unable to hear any hash at all from this supply in the QRP Plus receiver. This power supply is regulated well enough to serve as a gel cell charger when I am on the road. Update: This supply died while sitting on the shelf--it now blows the internal fuse in a spectacular fashion when power is applied. There's no hope of finding a schematic for this device which was manufactured in 1991 but I have attempted to troubleshoot and repair it using guidance found here. I've been able to trace the fault to a shorted transistor, an ST HV82, but am unable yet to find a source for a replacement. The power cable for the QRP Plus as supplied by Index Laboratories developed an intermittency at the coaxial plug. I believe the problem was due to a poor fit between the plug on the cable and the socket on the transceiver. I have replaced this cable with a new one acquired from Mouser. The cable I chose is a two-foot 18AWG pigtail with a molded 2.5mm x 5mm coaxial power connector installed. This cable provides reliable power to the transceiver. Originally I used an MFJ-901B antenna tuner and a Heathkit HM-9 SWR bridge to tune non-resonant antennas. I had bolted the two units together, forming one unit. I used RG-174 jumpers to inter-connect the tuner, bridge, and QRP Plus. 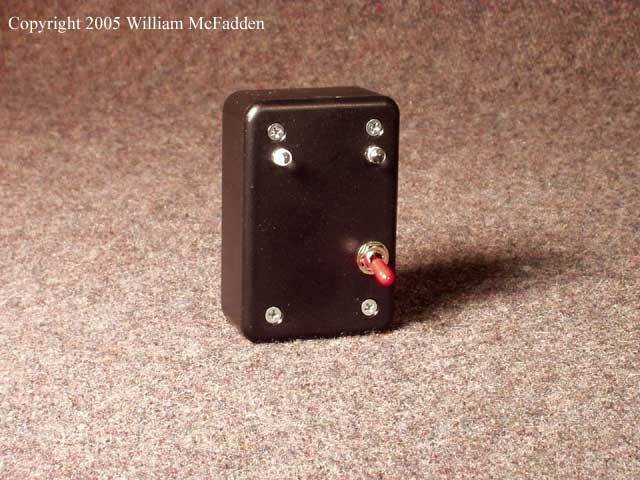 The Z11 is a full featured low power automatic or semiautomatic antenna tuner designed for the HF ham bands (1.8 to 30 MHz). 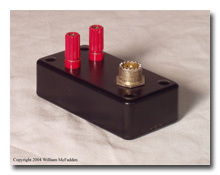 It will work with virtually any transceiver or transmitter providing between 0.1 and 30 watts continuous RF output (60 watts SSB or CW). 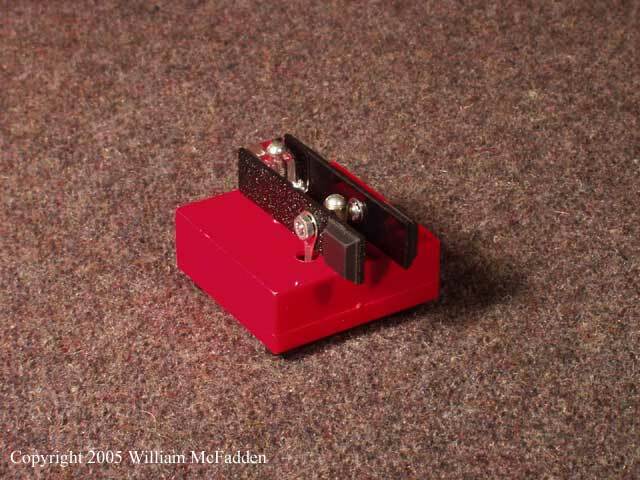 The tuner uses the highly versatile "Switched L" configuration with 256 capacitor, 256 inductor and High/Low impedance settings to provide over one hundred and thirty thousand possible tuning combinations. The "L" network will match practically any coax-fed antenna (dipole, vertical, sloper, beam, etc). Long wires, and dipoles fed with ladder line can be matched using the LDG RBA-1 external balun, sold separately. Regardless of antenna type, tuning time is between 0.1 and 3.0 seconds, typically about 1.5 seconds. The Z11 uses latching relays to switch tuning components in the "L" network. These relays hold the tuning configuration even when power is removed; once matched, the tuner automatically enters a low-power mode where it draws only 0.8 milliamps. Placing the tuner into "Standby" reduces power consumption to zero; the latching relays maintain the tuned configuration indefinitely. During tuning, the Z11 may draw up to 300 milliamps, but only for a few seconds. These exclusive LDG features make the Z11 ideal for portable, battery-powered HF operation. 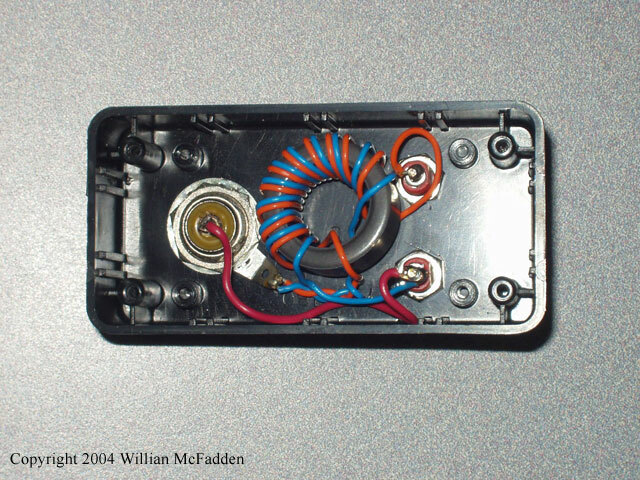 I made a 4:1 balun (photos: external | internal) to use with the Z11 to allow me to use this tuner to match end-fed wires and balanced antennas. The Z11 and balun are considerably smaller and lighter than the MFJ-901B/HM-9 combination. The Z11 tuner quickly replaced the MFJ-901B/HM-9 combination in the bag. The descriptions of field-deployable antennas have been moved here. I originally carried a Bencher paddle which, while wonderful to use, weighed almost as much as the QRP Plus. 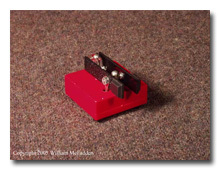 I now carry a Whiterook MK-44 Mini Iambic Paddle (photo | link) and, while it is not as nice to use as the Bencher, it is very lightweight and inexpensive. Surprisingly, I find that it is quite easy to send good code with this simple and inexpensive paddle. The QRP Plus has a built-in speaker, but with it the receive audio is sometimes disappointing, the cabinet having a fair number of resonances and some microphonics. Initially, I carried an external speaker, which while taking up valuable room in the Bag, provided for far more comfortable listening. 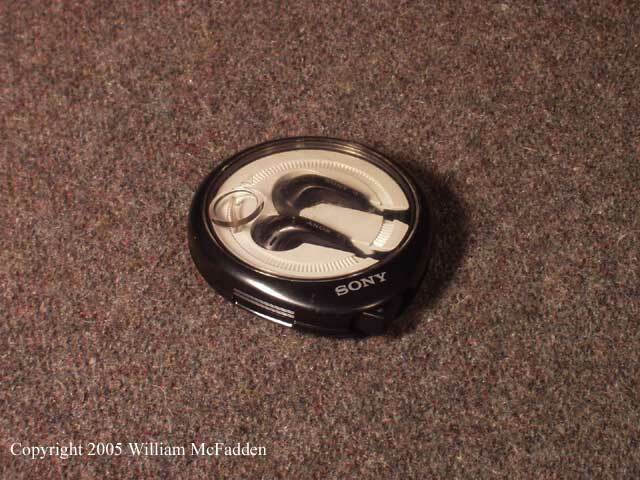 More recently, however, I've stopped carrying the speaker and rely on a pair of Sony ear-bud earphones (photos: 1 | 2) which provide nice audio and prevents my operations from annoying my family. Drew McDaniel, W8MHV, was able to solve the resonance and microphonics problems with his QRP Plus; eventually I will use his techniques to try to improve mine. I had a fair amount of difficulty finding a microphone that works well with the QRP Plus. The first mic I tried was an inexpensive tape recorder-style microphone from Radio Shack, their part #33-1067. I used this mic for several SSB QSOs but eventually learned that the audio wasn't very good. My second mic was an ICOM HM-12 hand mic with a suitable pin adapter. (This is the full-size hand mic that is intended for ICOM HF and mobile VHF/UHF rigs.) This microphone produced very badly distorted transmit audio. I haven't discovered why this is the case. I bought a hamfest-special MFJ-285L speaker mic for $10. 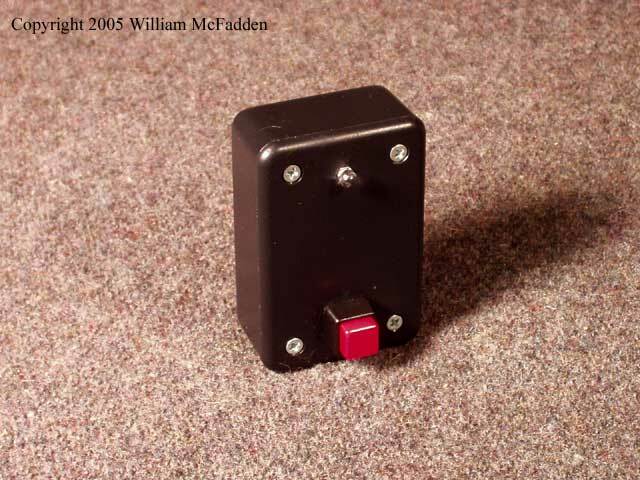 This very small microphone was intended to work with the ICOM and Alinco HTs in which the PTT switch completes the microphone audio path to ground. I removed the speaker and circuit board from the microphone case, leaving the electret element and PTT button, and wired these to a 3.5mm stereo jack. Initial tests indicated that the audio from this microphone is significantly better than that of either of the previous mics. Eventually, though, I learned that even with this microphone the audio wasn't what it should be; my audio sounded like I was "talking through a tube. In addition, I found that microphone was too small for me to hold comfortably. Finally, after ending up with a freebie Radio Shack speaker mic, I re-wired it for the QRP Plus. This mic, I am told, sounds much better than the previous MFJ mic, and is easier for me to hold. At some point, I may look again at the two audio shaping-circuits described by Steve Pituch, N2MNN, in the April 1996 QRP Quarterly to optimize microphone audio response. I looked into this back in '96 but ran into a snag and haven't been back to it. Several years ago I bought a Ten-Tec T-Kit 1551 Microphone Speech Processor to use with the QRP Plus. I pretty quickly built the thing, but lost steam when it came time to mount it into an rf-shielding enclosure. Soon--I hope--I will finish this project and try it with the QRP Plus. I've built a couple of field-portable battery-friendly lamps for operation in the dark. They are based on high-intensity white LEDs salvaged from $1 notebook-PC USB lamps and are surprisingly bright. 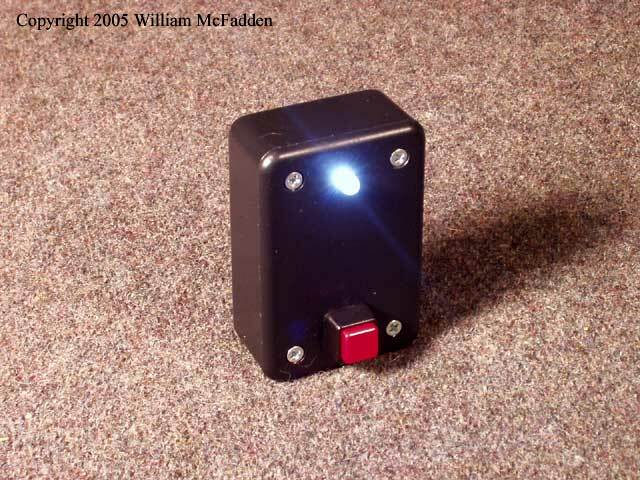 One lamp has one LED and is powered by a 1300mAH 6v lithium battery from a camera that long ago died. (photos: lamp off and on) I calculate that this battery will last for about 65 hours of continuous use. The second lamp contains contains two LEDs in series and is powered by a 9v transistor battery. 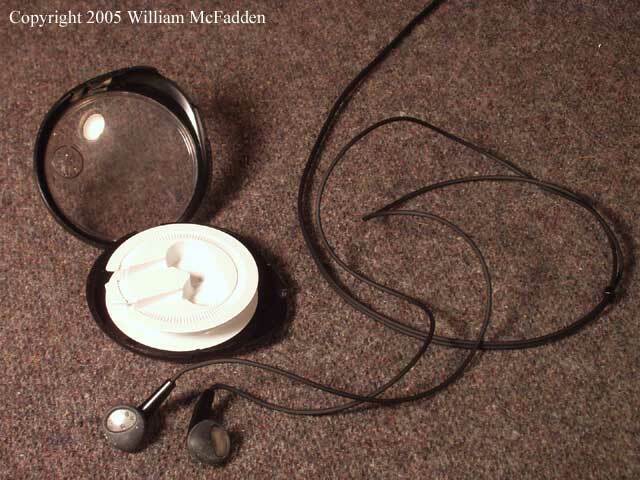 (photos: lamp off and on) Both lamps were inspired by the Idea Exchange Quickie #51 by Joe Everhart, N2CX, in the Fall 2004 QRP Quarterly.